Have you ever wanted to design a Porsche Police Car? Porsche Cars Australia and Porsche Centre Willoughby are providing the first ever Porsche 911 Carrera in Australia to the NSW Police Harbourside LAC at North Sydney. To commemorate this occasion, the Harbourside LAC have created an international student design competition to coincide with the International Student Soccer Competition at Coogee Beach on Saturday 28th September 2014 where the winning entry will be unveiled. Entries are open to all international students currently studying in Australia in either University, TAFE, College or High School. The competition closes on the 14th September 2014 with the winning entries judged by Deputy Commissioner BURN, Superintendent DENGATE, Superintendent SICARD and representatives from Porsche Cars Australia. CLICK HERE for the Terms and Conditions and to download an Entry Form. Follow the Harbourside LAC Facebook page for updates. "In September 2012, Porsche Cars Australia and Porsche Centre Willoughby expanded their corporate responsibility programme by providing a Porsche Panamera as a press car to the NSW Police for community events and activities for a 6 month trial. 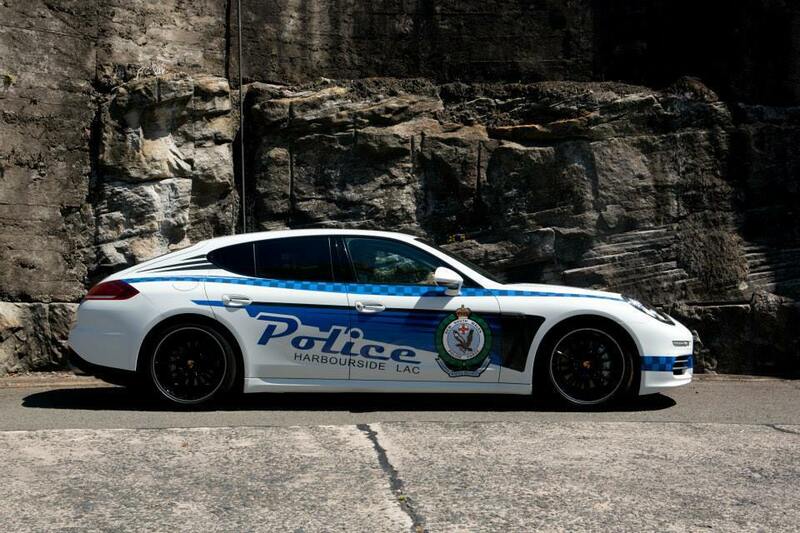 The Police Porsche looks just like a real NSW Police car and is prominent on Sydney roads and at Police promotional displays but will not be used to chase crooks. It has now been almost 2 years since the initial trial period and many Porsche Panameras, over 50 statewide events and a title of "one of the top 10 sexiest Police cars in the world", Porsche is renewing its commitment by supplying the first ever Porsche 911 Carrera Police car in Australia."